Take your birthday party to the next level and join us for a unique and action filled adventure as you will explore new worlds and test your skills to solve cleverly designed puzzles and tasks. Our game hosts are ranked number #1 in customer service, just read some of the reviews. We can host groups up to 16 players in our largest room. Mystery Room Houston would like to invite the Birthday person to play for free as our guest. Drop by within 7 days before or after your Birthday with proof of DOB and we will let you play one of our rooms for free as long as there is an open spot with a paying group or you have at least one other paying person with you to play. This offer is good for a single birthday entry, per person, per year. 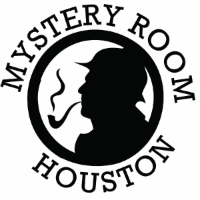 Mystery Room Houston reserves the right to ask for proof of date of birth and rescind the offer at anytime.